Free shipping on orders over $75. No Coupon Needed. Hey there! It’s been awhile! Well, hello there, blog subscriber! It’s been WAY WAY WAY too long since i’ve published to my blog *hangs head in shame*. There’s been lots going on and I wanted to take a few minutes to fill you in. Reporter: Tell me, Ms. Michele, Do you still have oodles and oodles of wood flowers in stock? Michey: ABSOLUTELY! But, if you haven’t visited my shop recently, you may notice things are starting to change a little bit. 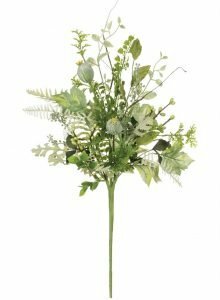 I’ve expanded my product line to include quality greenery & fillers and delightful silk flowers in addition to ribbons, containers and supplies. Reporter (sensing a story): Why?? WHY WOULD YOU DO SUCH A THING?!?!? Michey: Calm down, bro! 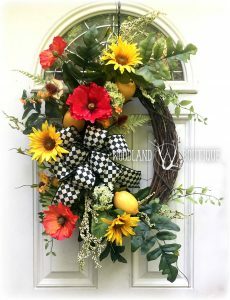 The answer is – WREATHS! 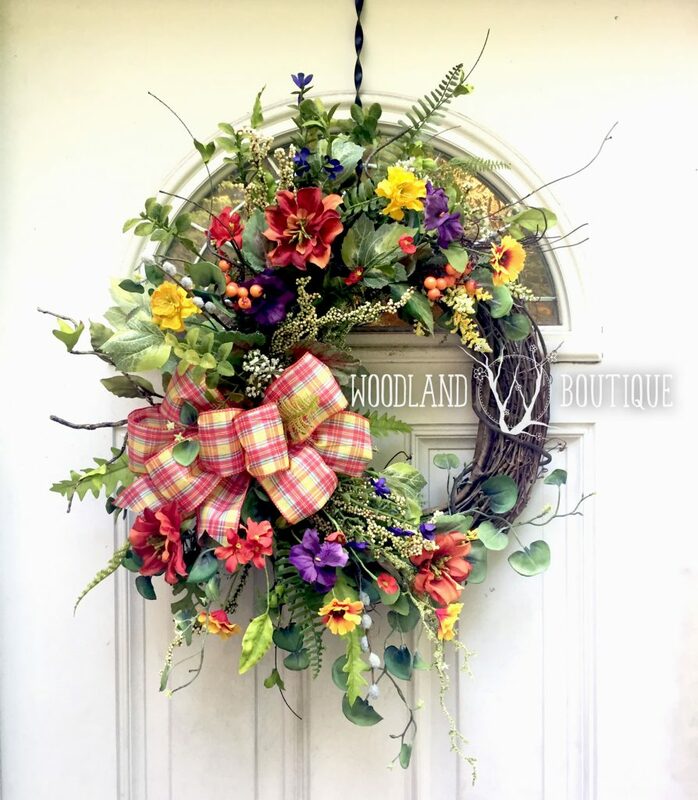 Wood flowers aren’t suited to outdoor use, so it’s kind of hard to have a wreath obsession if you can’t create something that can hang on an unprotected front door. Reporter: Wreaths? Ok, I can work with that! 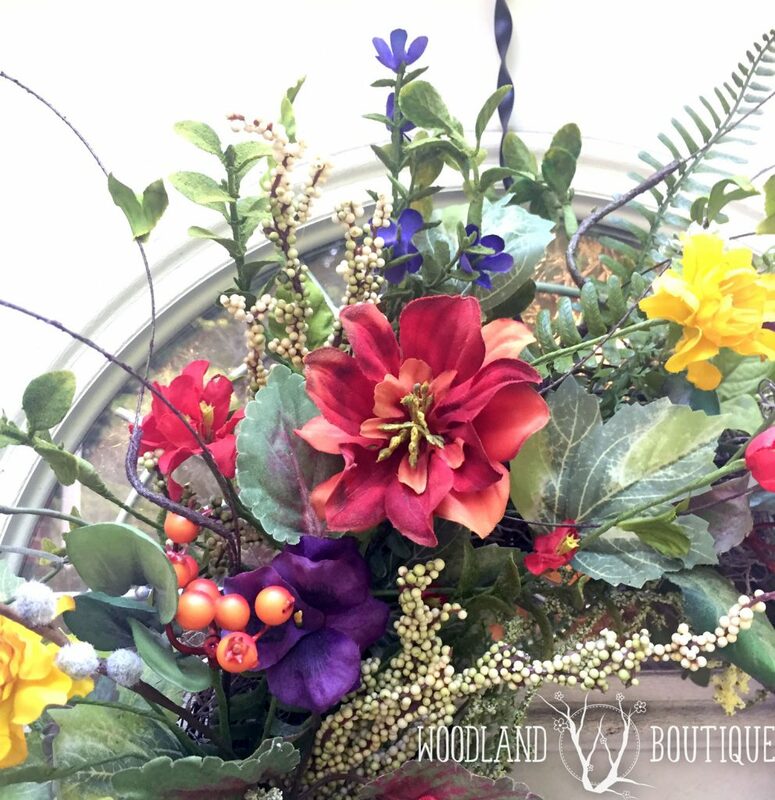 BUT BUT what are you going to do with all of your wood flowers? Michey: Quit trying to start trouble! I’m still going to keep them around and available for sale for now. You see, dear reporter, the market has changed since I first started offering my premium wood blooms. Lots of others have started selling them too (even my custom designed orchids – it makes me happy to see them so popular! ), so I know that even if I do decide to no longer sell them, I won’t leave my favorite customers high and dry. But for now, they will stick around. Reporter (looking for a different angle): Is there a difference between working with wood flowers and silk? Michey: Yes and no, dear reporter! The few small differences are that silk flowers are more durable and you don’t have to dye them or stem them yourself, but both silk and sola wood arrangements still need accessories to really make them shine. 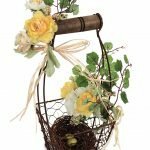 Unique containers and signs, beautiful and realistic greenery, berries, ribbons, etc etc etc. You’ll find all of that stuff in my shop (and even more in my storage room as I can never seem to add products to the website fast enough). Long story short is my shop still has something for any kind of floralista! Reporter (obviously bored): Dang it, there’s no controversy here. I’m going to go and try to stir up trouble elsewhere. So, now you’re all caught up, dear reader! I’ll be starting to blog more often, so i’d love for y’all to stick around. There will be tutorials, product spotlights, idle banter, and creative inspiration for you. Plus my next sale notification, where I put all regularly priced merchandise (including the premium wood flowers) at a 20% discount. That sale will be announced as soon as I add some more merchandise up to the site, definitely within the next few weeks — Christmas in July, anyone? There may even be a video or two, as soon as I can muster up the courage! Ohhh, and did you notice? I’m testing out free shipping on all orders over $75. Keep that in mind as you make your wishlists! As for me, I’m slowly starting to ease myself in to working on fall projects. As a wreather, you need to be a season ahead at all times. It’s tough because this weekend, we’re over 100 degrees here in Maryland. Nobody want’s to think about fall yet! Perhaps there’s a happy compromise? Receive a coupon in your Inbox! Subscribe to receive inspiration in your inbox! Receive sales & specials in your inbox! Save your cart for later?